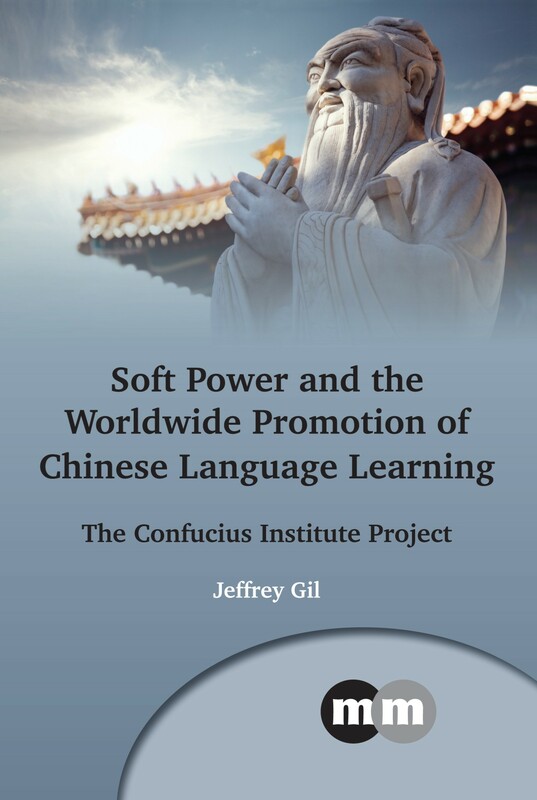 This month we published Soft Power and the Worldwide Promotion of Chinese Language Learning by Jeffrey Gil. In this post the author reveals the inspiration behind the book and discusses China’s controversial Confucius Institute project. I first became interested in China’s promotion of Chinese language learning when I was a PhD student in the early 2000s. While writing a thesis chapter about the use and status of the Chinese language in the world, I came across a news report describing plans to open a Chinese language and culture centre, called the Confucius Institute, in Kenya. It struck me as a sign that language was an important part of China’s rise, and as a topic worth exploring in more detail in the future. This book is the eventual result. Confucius Institutes are established through partnerships between China’s Office of Chinese Language Council International (known as Hanban), a Chinese university and a foreign university. Their main function is teaching Chinese language and culture. Confucius Classrooms operate along similar lines in primary and secondary schools. Associated with these are the posting of volunteer and state-sponsored Chinese language teachers overseas, and the international Chinese Bridge Chinese language competitions. I refer to these collectively as the Confucius Institute project. This is part of China’s use of soft power, or attraction, to accomplish its goals in world politics. Language learning is an important aspect of this because there is already widespread interest in learning Chinese, and China views the Chinese language as a vehicle for conveying knowledge and understanding of China, including its culture, history and politics. The Confucius Institute in Kenya which sparked my interest was one of the earliest; the first was opened in Seoul, South Korea, in November 2004. Since then, the scope and scale of the Confucius Institute project has expanded considerably. It has also garnered much attention from the public, the media, academics and governments, and created quite some controversy in the process. It seemed to me an appropriate time for a work which would map and evaluate the Confucius Institute project from a global perspective. In particular, I wanted to explore the dimensions of the Confucius Institute project across the globe; the impact of the Confucius Institute project at the political and societal levels; and the ways the Confucius Institute project could be modified in the future. In this book I describe the geographical coverage, volume of activities and pace of development of the Confucius Institute project. I also analyse its influence on the policies and actions of foreign governments, on Chinese language teaching and learning, and on attitudes towards China. My conclusions may be surprising: outside the domain of Chinese language teaching and learning where its impact has been mainly positive, the Confucius Institute project has had little impact on improving China’s standing in world politics. On this basis I make several suggestions regarding what China, schools and universities, governments and researchers can do to improve the outcomes of the Confucius Institute project. I’m sure this book won’t be the last word on the Confucius Institute project, but I hope I’ve succeeded in highlighting how language is intertwined with China’s rise. For more information about this book, please see our website. 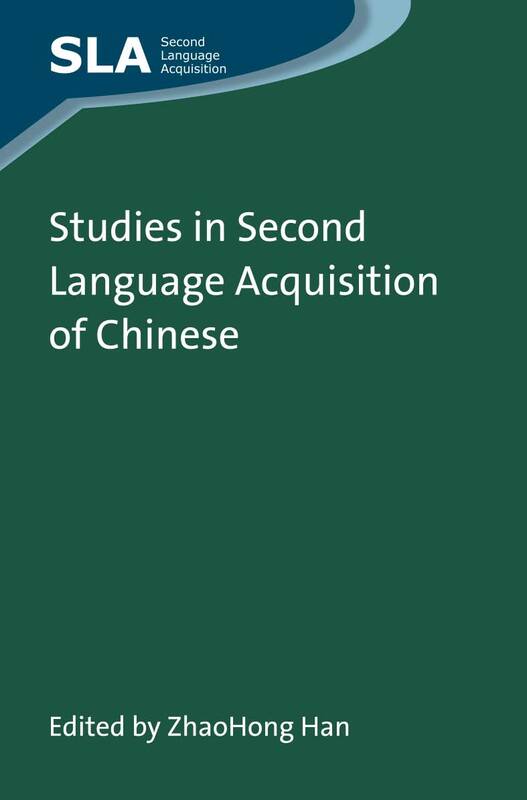 If you found this interesting, you may also enjoy Studies in Second Language Acquisition of Chinese edited by ZhaoHong Han. This month we published Heritage Tourism in China by Hongliang Yan. In this post, the author discusses some of the heritage sites covered in his book and the stories behind them. As one of the world’s earliest civilisations, history has left much heritage for China. It is not merely the representation of the country’s past but also an important resource which supports the development of China’s tourism industry today. 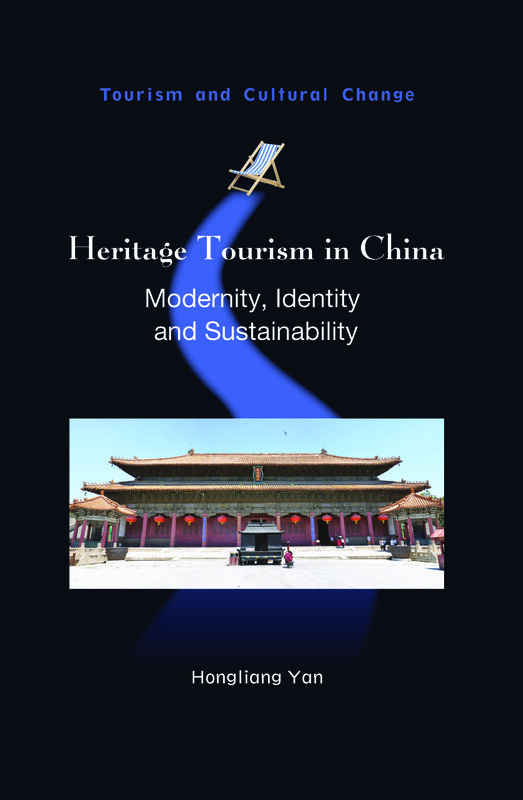 Heritage Tourism in China looks at the relationships between heritage and tourism in contemporary China. It uses heritage to examine the social changes of China and how history and heritage were interpreted, planned and promoted for tourist consumption. Because of the characteristics of Chinese governance, heritage tourism planning and management are largely decided by the public sector. In recent years, with the implementation of “Economic Reform and Open Door” policies, stakeholders from other sectors have increasingly been playing some more important roles in heritage tourism. 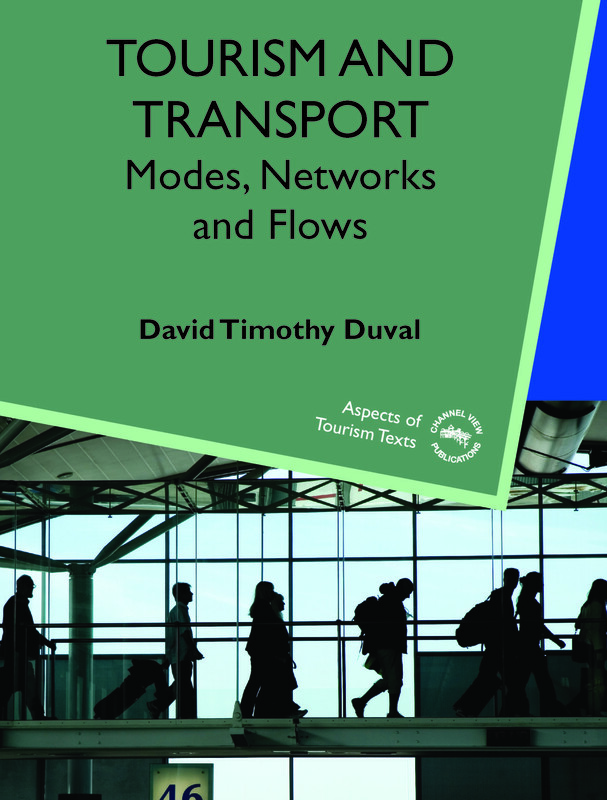 This book examines the issues from the viewpoints of policymakers and other influential stakeholders at local, regional and national levels who had interests in heritage tourism. To help the reader to understand the link between heritage and the key issues discussed in the book, four historically important heritage sites were discussed in detail on the issues around their management, planning, interpretation and promotion for tourism, which also provides the key link between the global context of tourism and notions of modernity, identity and sustainability. 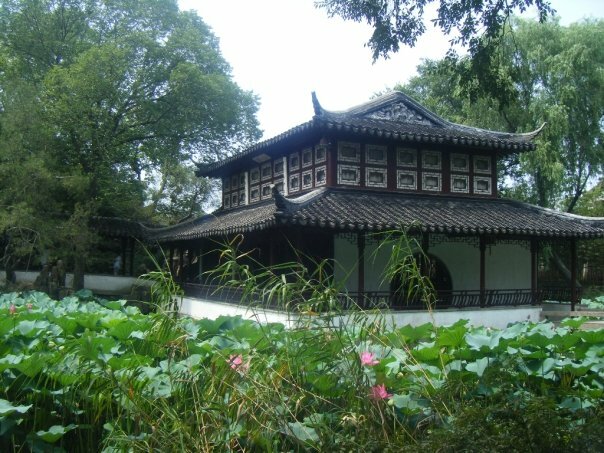 Among these sites, the Confucius temple, mansion and family cemetery in Qufu (UNESCO World Heritage Site) were selected for examination as they have embodied the core values of traditional Chinese culture and philosophy: Confucianism. Their preservation, management and also the evolution of the Confucius cult ceremony well reflected the relations between tradition and modernity in contemporary China. Another example, Mount Tai, China’s first UNESCO World Heritage Site was also examined in the book because of its outstanding combination of beautiful natural landscape and cultural impacts and being regarded as a sacred mountain in China. The preservation and development of the site provide a good example of the governance of protected areas and the challenges to sustainability. 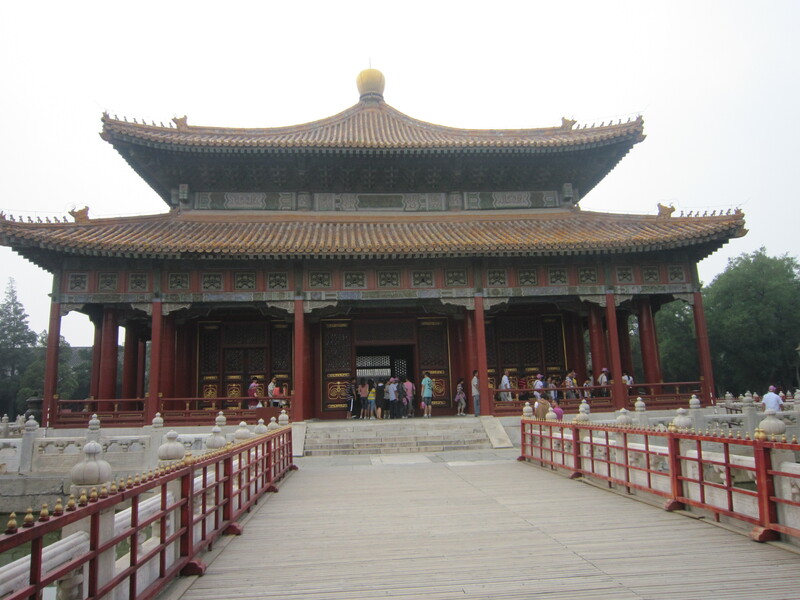 The heritage sites discussed in this book are symbols of Chinese civilisations and beliefs. An important focus of the discussion in this book is on how they are affected by alterations in people’s values and beliefs in China over recent decades. 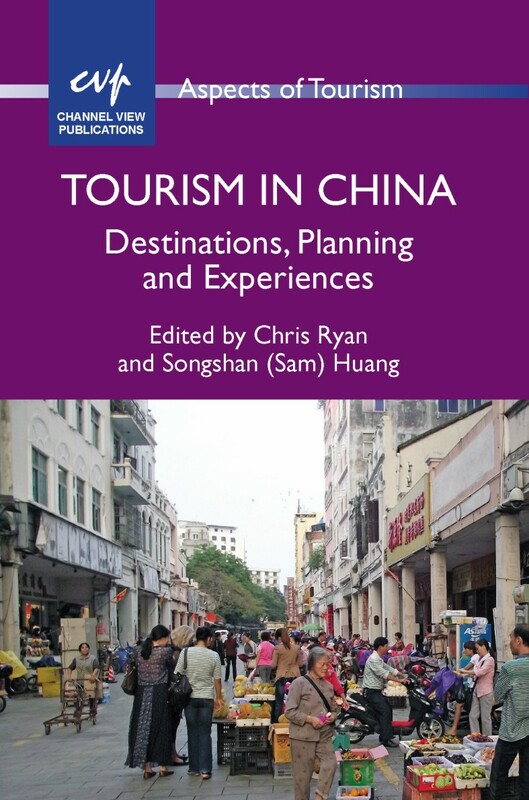 The book develops and applies a broad framework to assess the relationships between the planning, development and representation of heritage sites for tourist consumption and the notions of modernity, identity and sustainable development in contemporary China. For more information about this book, please see our website. 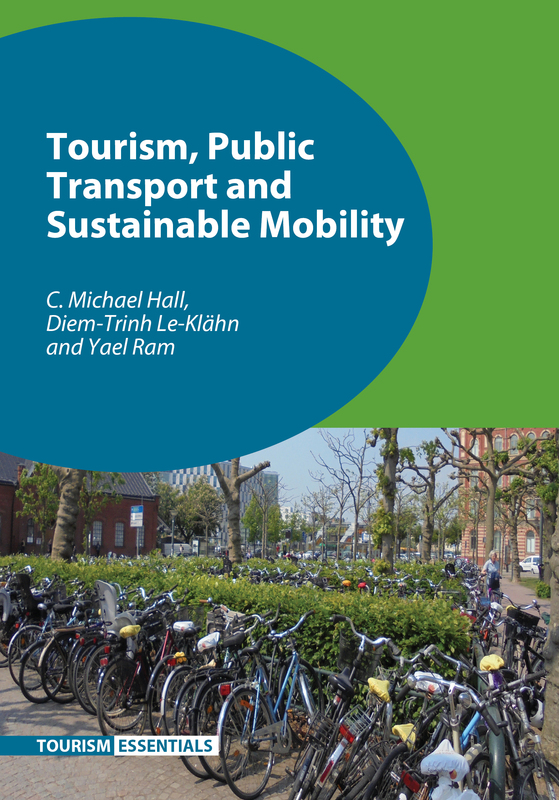 You might also be interested in Tourism in China, Tourism Research in China and Industrial Heritage Tourism. 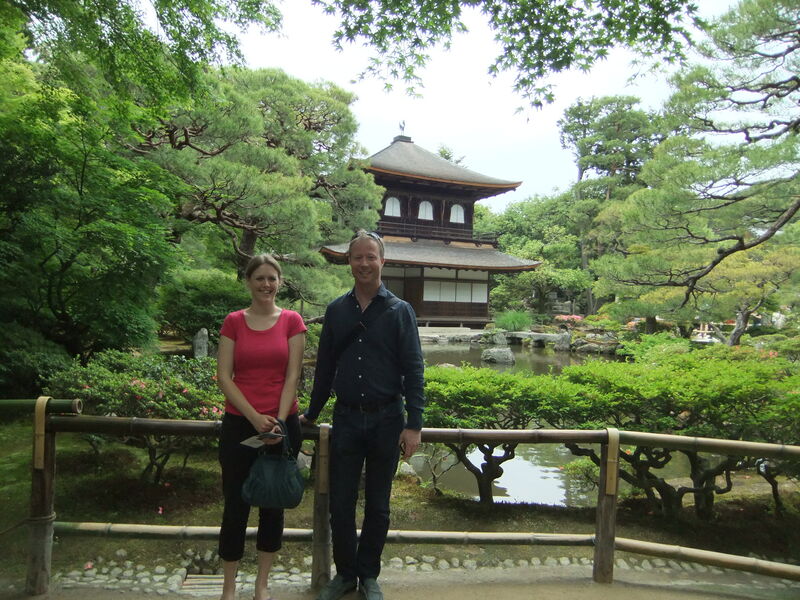 Before our trip to the ISB conference this month (which you can read about here) Tommi and I travelled to Japan, China and Hong Kong to visit our reps, booksellers and academics. It was a really useful trip and fascinating to see how bookselling works in other countries. We started our trip in Japan where we met booksellers based in Tokyo: Kinokuniya, Yushodo, Maruzen, UPS and Far Eastern Booksellers. It’s great to hear firsthand what is happening with library budgets and the local economy. After Tokyo, we travelled to Kyoto where we met our sales reps from Eureka Press and visited academics at both Kyoto University and Ritsumeikan University. At Kyoto University we met with a group of graduate students and Tommi gave a talk about academic publishing and how to turn your PhD into a book. 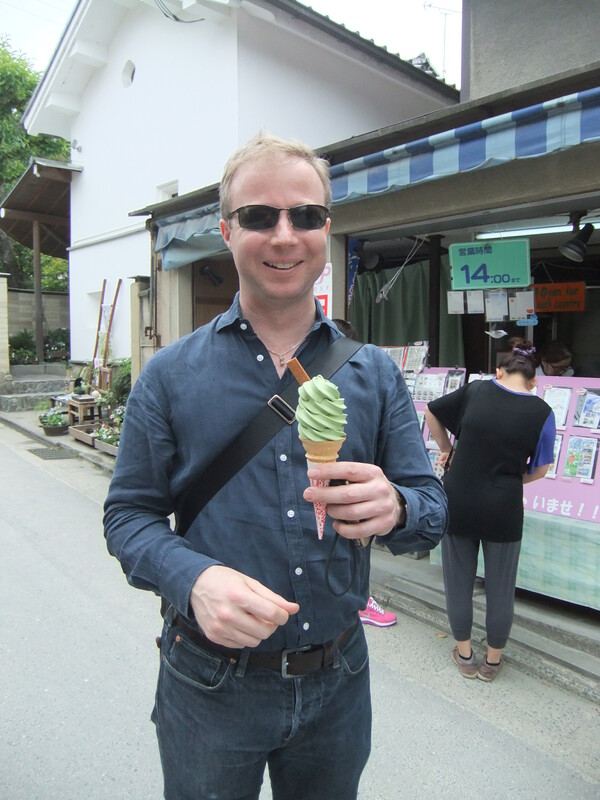 Fortunately we had a bit of free time in Japan too and we managed to visit several temples and sample some of the delicious local cuisine. After that we travelled to Beijing where we met with our Chinese rep Sarah from CPS. We had several meetings with local book importers as well as with the National Library of China. We met with Beijing Zhongke and CEPIEC. We also had a few free hours when a meeting was cancelled and we were able to visit the Forbidden City which was really interesting. After less than 48 hours in Beijing, we headed to Hong Kong where we visited one our authors, Andy Gao, at Hong Kong University. Again, we met with a group of graduate students and other people interested in the publishing industry and talked to them about what we do and how the publishing process works. After the work part of our visit to Hong Kong was over we had a bit of spare time and managed to visit the fishing village of Sai Kung which was a complete contrast to the high-rise skyscrapers of Hong Kong island and Kowloon. 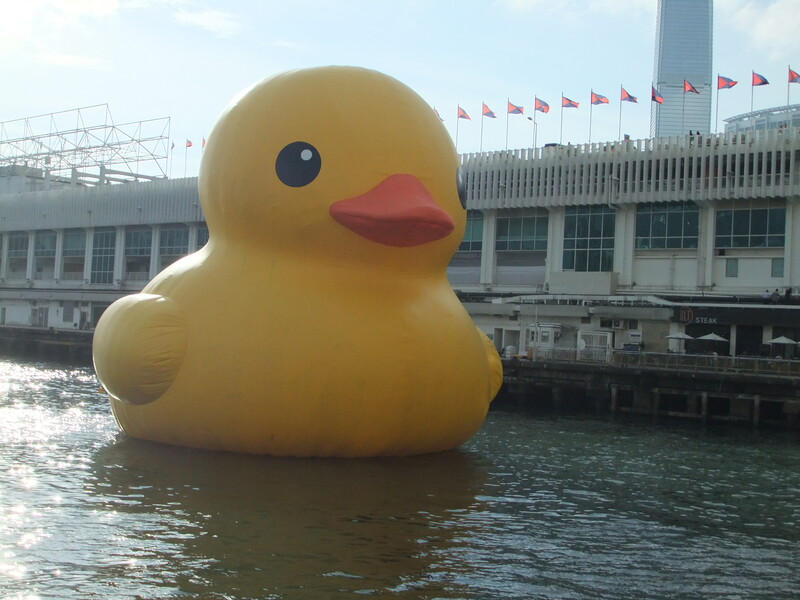 We also travelled to the top of Victoria Peak and saw the giant yellow duck in the harbour. After Hong Kong we headed to Singapore for the International Symposium of Bilingualism which rounded off a really successful trip. It really makes a difference travelling to meet customers in their own countries and we really enjoyed expanding our network of contacts in Asia. To see more photos of our trip take a look at our Facebook pages: Multilingual Matters and Channel View Publications. Series editor Alastair Pennycook writes about how the Critical Language and Literacy Studies series began and how his own book is the latest to be published in the series. We have just published the 15th book in our Critical Language and Literacy Studies series, a fact that fills me with a mixture of pride, surprise, satisfaction, and exhaustion. It’s also with slightly mixed emotions – again some pride and surprise but also a bit of embarrassment and the usual insecurity, oh, and exhaustion too – that I should confess that book #15 in the series is my own, Language and Mobility: Unexpected Places (more of which later). Given that the first book, Collaborative Research in Multilingual Classrooms (Denos, Toohey, Neilson and Waterstone) was only published in 2009, that’s a lot of books in a short period. Our goal was to bring different critical perspectives (with a focus on power and new ways of thinking about language) to studies of multilingualism, and to encourage work by new authors and from new contexts. The series was not conceived as being based around normative critical approaches to linguistic diversity (focusing on the assumed benefits of multilingualism, for example, or orienting towards language maintenance), but instead aimed to open up questions of linguistic diversity in relation to broader political concerns. Several critical features therefore distinguish this series: Throughout, there is a strong focus on race, gender, class, colonialism, and other forms of disadvantage and discrimination, as well as a readiness to take on difficult topics. The ways these come together can be seen in books such as Laurel Kamada’s Hybrid Identities and Adolescent Girls: Being ‘Half’ in Japan, Christina Higgins and Bonny Norton’s edited Language and HIV/AIDS, Nasser, Berlin and Wong’s edited book, Examining Education, Media and Dialogue under Occupation: The Case of Palestine and Israel, or Andrea Sterzuk’s The Struggle for Legitimacy: Indigenized Englishes in Settler Schools. Gender is a strong focus in Kamada’s book, as well as Ros Appleby’s ELT, Gender and International Development: Myths of Progress in a Neocolonial World, Julia Menard-Warwick’s Gendered Identities and Immigrant Language Learning or Christina Higgins’ English as a Local Language: Post-colonial Identities and Multilingual Practices. And watch out for another exciting book on the way: Kimie Takahashi’s Language Learning, Gender and Desire: Japanese Women on the Move. Questions of class, poverty, access and literacy are given various treatments in Gregorio Hernandez-Zamora’s Decolonizing Literacy: Mexican Lives in the Era of Global Capitalism, Chris Stroud and Lionel Wee’s Style, Identity and Literacy: English in Singapore, and Inge Kral’s Talk, Text and Technology: Literacy and Social Practice in a Remote Indigenous Community. Interwoven with these themes are significant concerns to do with immigration, indigenous communities, development, language ideologies, identity, technology, pedagogy and the media. Although we have included books that critically explore the role of English in multilingual contexts, we’ve carefully avoided doing yet another book on the global spread of English or its varieties. Rather, when books have focused on English, central concerns have been on English as a local language in the multilingual contexts of East Africa (Higgins), language ideologies of English in Philip Seargeant’s The Idea of English in Japan: Ideology and the Evolution of a Global Language, English in relation to identity in China, in China and English: Globalisation and the Dilemmas of Identity (Lo Bianco, Orton and Gao, Eds) or English and globalization, Contending with Globalization in World Englishes (Saxena & Omoniyi, eds). We have also tried to ensure that all the books in the series are theoretically strong, well researched, and, crucially, readable. We have aimed to achieve a fairly wide coverage of contexts, including Mexico, Tanzania, Kenya, East Timor, Israel/Palestine, India, Uganda, Burkina Faso, South Africa, West Africa, Iran, Bulgaria, China, Japan and Singapore, as well as indigenous communities in Australia and Canada and immigrant communities in the USA. Clearly, there’s scope for much more diversity and wider coverage. One final aspect of this series to which we have given serious attention is the prefaces. Taking the view that prefaces are far more than introductions, and noting that they are a fairly unregulated genre, we have worked hard on the prefaces as collaborative texts, and have taken the opportunity not only to locate the books within a wider field but also to draw attention to important points about critical approaches to language and literacy that matter to us. 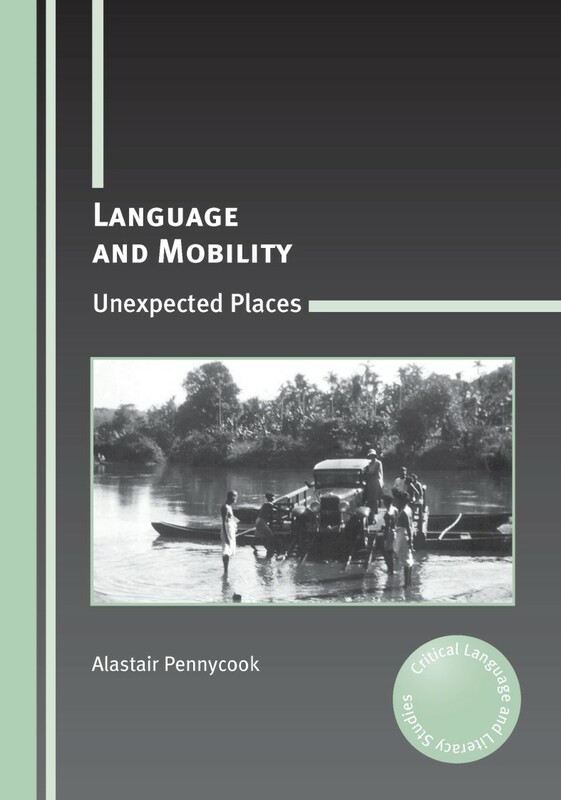 So, finally, back to book #15, Language and Mobility: Unexpected Places. I set out to do several things: to explore the themes of languages turning up in unexpected places (and why things may be unexpected), and language and mobility; to try out different styles of writing – there are travel stories, personal anecdotes, poems (not by me, thank heavens), and personal and familial history (such as my own exploration of my grandparents’ lives in India). How well all this works, whether this hangs together, whether it appears indulgent or superficial, too linked to personal and affective histories, or whether these connections between the personal and political by contrast shed more light than other approaches to these topics, will be for the reader to decide. But I’ve used this opportunity to write about a range of topics of interest to me, including colonial India, intercultural communication, native speakers, cricket and Cornish. I hope readers find some thought-provoking ideas here, and if not, there are 14 other books in this series to enjoy, and more on the way, including upcoming books on linguistic landscapes in Antwerp (the first book in the series to focus on a European context, though a focus on the linguistic landscape of any such European city also points in many non-European directions), domestic workers from the Philippines (bringing together issues of gender, migration, class, language policy and lots more), and literacy practices in West Africa (literacies, languages, graffiti, and many things besides). Stay tuned. 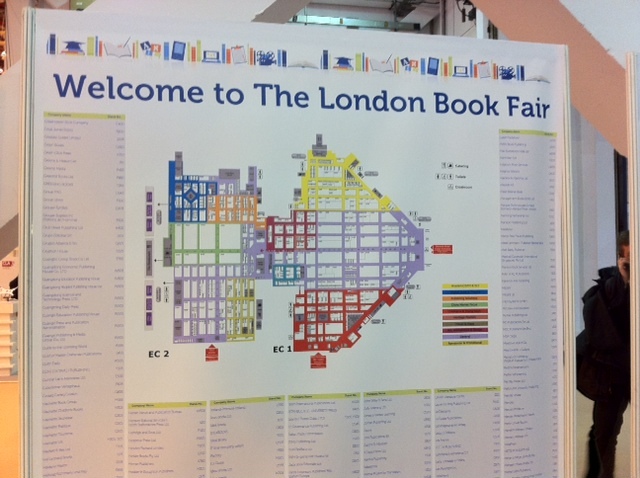 Last week Sarah and I attended the London Book Fair at Earls Court. The London Book Fair gives us an opportunity to meet all our contacts in the publishing world in one place. We meet everyone from printing reps to ebook retailers, distributors to publishing consultants. It’s also a good chance to see what other publishers are doing and share ideas with each other. We only visited the book fair for one day this year but had a busy day of meetings. 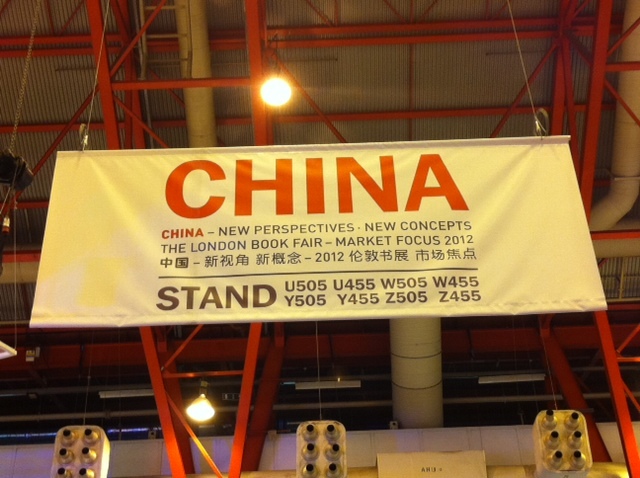 This year the market focus was China and over 180 Chinese publishers attended the Book Fair. There was a special area entirely devoted to China which highlighted the importance of this growing market. There were also various talks and seminars from Chinese authors and publishers. Next year the featured country will be Turkey and no doubt we’ll be reporting on their participation this time next year. AILA 2011 was a very interesting cultural experience. The organisation was uniquely Chinese, and I think we will all remember the orange T-shirts of the ever helpful and cheerful volunteers. The highlight of the congress was a photo montage of the events of the week, set to music, played out at the closing ceremony! AILA 2011 also saw the first awarding of the AILA-Multilingual Matters solidarity awards, which enabled two AILA delegates to travel to this year’s congress. 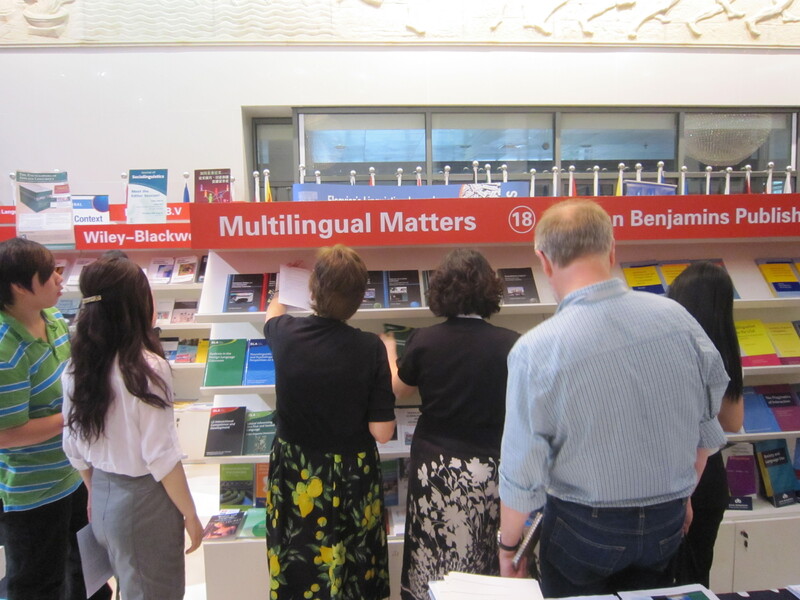 There will be further awards at forthcoming AILA congresses, and we will soon be announcing the details of our AILA-Multilingual Matters library awards. One of the parts of the job that I love the most, is selling the books we publish directly, and talking to our authors and customers in person. In China we sell through our import partners, and so I found it a little difficult to stop myself from bartering and offering discounts in the manner that I normally do at the book exhibits. But it was great to watch our importers sell so many books, and even more encouraging to see many local Chinese delegates who I have not met before browsing and purchasing the books. 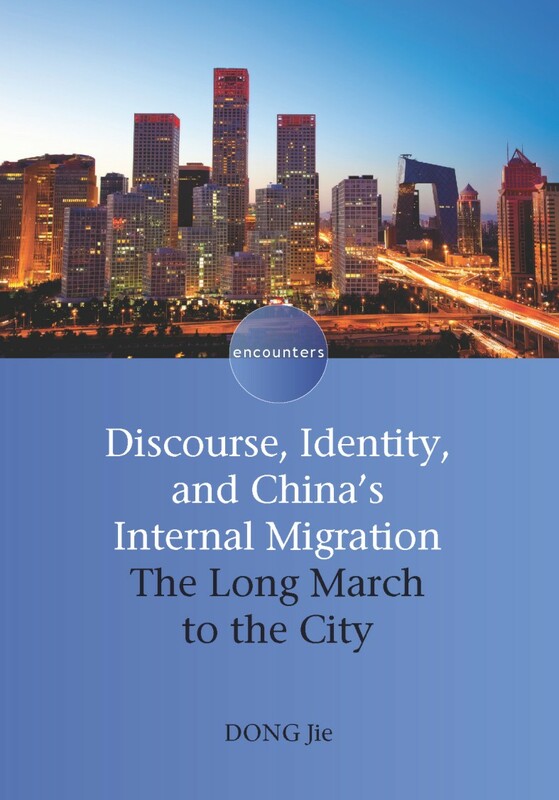 And I had many interesting conversations at the stand, and was proud to be able to hand deliver a hot off the presses copy of “Discourse, Identity and China’s Internal Migration” to a happy author. I travelled to Beijing via my grandfather’s village in rural Finland, which believe it or not is almost directly en-route from the UK. The contrast was quite mind-boggling! I have never seen so many cars and such traffic as I have in Beijing. But the modern metro system makes the city quite easy to navigate, and everywhere I walked I found people helpful and willing to communicate even if we did not share a common language. I can’t wait for my next chance to visit China and continue growing the friendships and working relationships that we have developed. Having just published Discourse, Identity, and China’s Internal Migration by Dong Jie we wanted to know a bit more about her and her research so we asked her a few questions. Why did you choose to research discourse and identity in China? Questions on language and identity are always close to my heart, especially those on China because it is a rapidly changing society where new patterns emerge and negotiate with the old ones. My book looks at identities at various scale levels that interact in the same ‘synchronic’ realities. If you had the time and resources, and a willing publisher, what would be your dream book project? My dream book project would be a monograph on my ethnographic fieldwork journey in Beijing, a dynamic global city that witnesses fascinating encounters between different traditions, values, and languages. Quite a number of scholars have impacts on my research, such as Jan Blommaert, Sjaak Kroon, Ben Rampton, Li Wei, Gao Yihong, Normann Jørgensen, Dell Hymes (through Jan Blommaert), John Gumperz, Michael Silverstein, Nancy Hornberger, to name just a few. 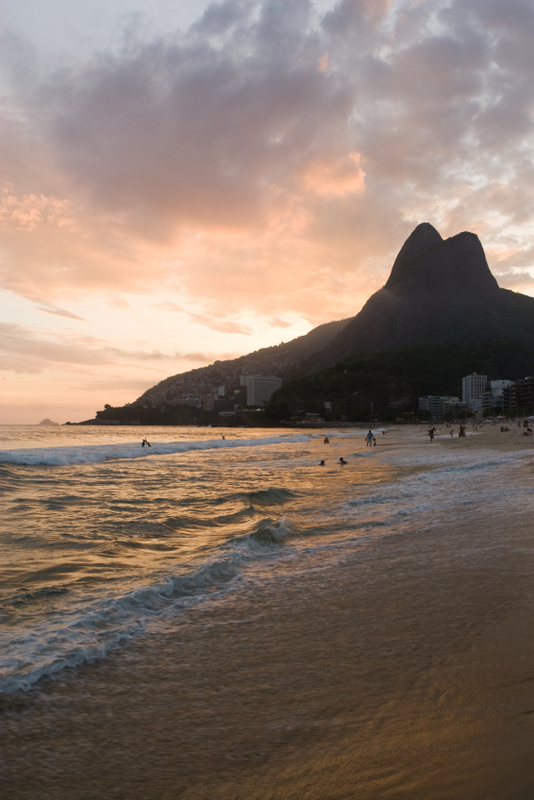 What’s your favourite place that you’ve travelled in the course of your research? I am re-reading Bourdieu’s Distinction and Logic of Practice. What do you enjoy doing when you’re not writing books? It’s finally summertime here and we’re all trying to make the most of the rare days of sunshine! The summer can be a quiet time for academic publishers as many researchers are on holiday or making the most of the vacation and not having to teach their students. However, the Channel View team will be busy beavering away (inbetween our own holidays of course!) and getting ready for the start of the new academic year. We will be preparing our new catalogues as well as making arrangements for forthcoming conferences. 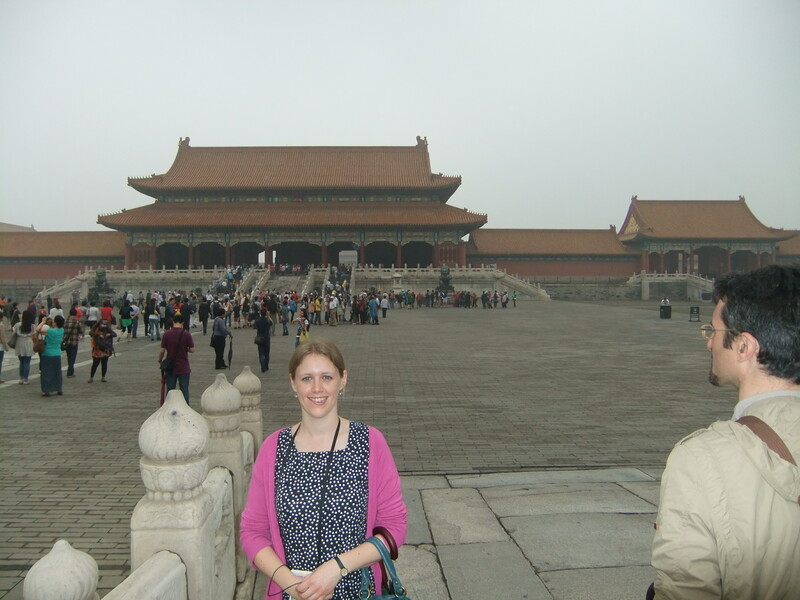 In August Tommi is attending the 16th World Congress of Applied Linguistics (AILA) in Beijing. China is a really big market for us and as AILA is an important conference it is essential that we attend. While he is there Tommi will be meeting with our Chinese rep to discuss our strategy for the Chinese market. He will report back on how the conference goes later in the summer. Meanwhile, we have three important European conferences to prepare for in September. Firstly, there’s the British Association of Applied Linguistics (BAAL) conference. This year it’s just down the road at the University of the West of England so we don’t need to travel far to get there! Next is the 21st Annual Conference of the European Second Language Association (EUROSLA) which is in Stockholm, Sweden this year. Our publishing assistant Laura will be staffing our stand at EUROSLA so do go and see her and take a look at our new books. When Tommi has recovered from his trip to China he will be heading to the Seventh International Conference on Third Language Acquisition and Multilingualism (L3) which this year will be in Warsaw, Poland. We sponsor the Best Student Paper Prize at the L3 conference so the winner will be awarded their choice of €100 of Multilingual Matters books. That takes us up to the end of September and after that we will be preparing for the Frankfurt Book Fair. So that’s what we’ll be doing for the next couple of months. 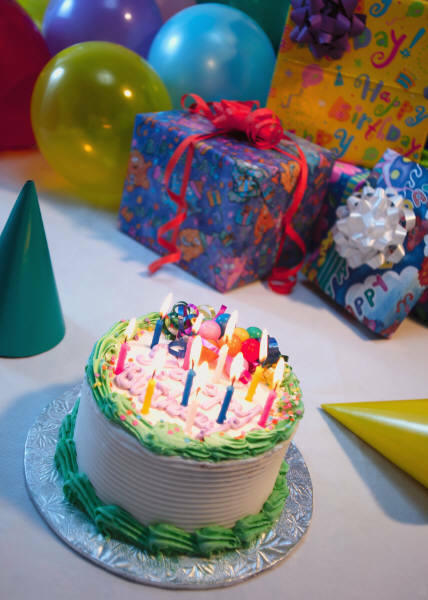 Also, with 4 out of 5 of the Channel View team having their birthdays in August, we generally end up eating an awful lot of birthday cake throughout the summer!